Private Schools Association of Jammu and Kashmir (PSAJK) today expressed its concern over halting of school buses during plying of convoys on various roads in Kashmir as the practice has created a chaotic situation in educational institutes. The Association said that our schools have been opened only for two days but the situation has become so chaotic that nobody is able to understand what to do. "Our entire transport plan and plying of school buses has been disrupted. The schools particularly on National Highway and even those schools where buses have to simply cross a road have seen their time tables going down the drain," said G N Var chairman PSAJK. "Our classes are starting late and some times even we do not know when will children or staff reach home." The Association said that Kashmir already has limited working days and now the wastage of time is compounding our problems. "At times our buses have to wait for anywhere from half an hour to even more than one hour. Add to it the associated traffic jams and our buses arrive hours late after the prescribed school opening time," said Var. "Some of our buses have small children, who have to unnecessarily wait and suffer on roads. Our morning prayers, classes and examinations are being disrupted." The Association said that government should exempt  School buses and ambulances from the restrictive orders. "World over there is a norm that School buses and ambulances are given preference over any other traffic. In western countries even Prime Minister and President of that nation makes way for school buses and ambulances," said Var. "Same approach should be adopted by government in Kashmir. School buses and ambulances should be exempted from such an order. 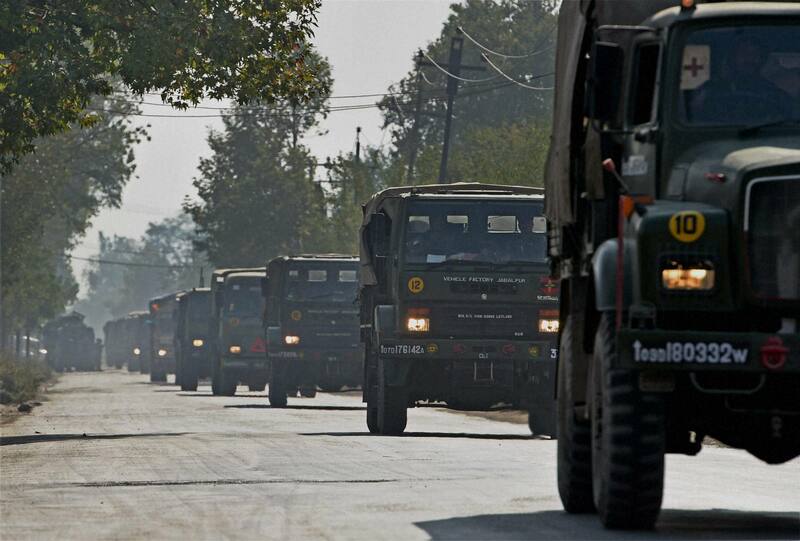 There is no harm if these vehicles ply alongside the convoy."